At the Salon International de la Haute Horlogerie (SIHH) in Geneva, IWC Schaffhausen will be presenting two “Le Petit Prince” models and an “Antoine de Saint Exupéry” special edition in the Pilot’s Watches collection. The Big Pilot’s Watch Constant-Force Tourbillon Edition "Le Petit Prince" is the first pilot's watch from IWC with a constant-force tourbillon. For the first time, the Swiss watch<br /> manufacturer has used hard gold for the watch case – a significantly harder and more wear-resistant version of red gold. IWC has combined for the very first time a perpetual calendar with a chronograph function with the Pilot’s Watch Perpetual Calendar Chronograph Edition “Le Petit Prince”. These timepieces, characterised by their distinctive midnight blue dials are dedicated to Antoine de Saint- Exupéry’s “Le Petit Prince”. It is the most important literary work by the French writer and pilot. The Big Pilot’s Watch Constant-Force Tourbillon Edition “Le Petit Prince” (Ref. IW590302 and IW590303) are the first pilot’s watches from IWC with a constantforce tourbillon. 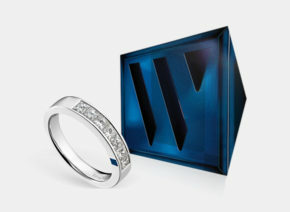 It is available with either a hard gold or platinum case, each of which is limited to 10 watches in each material. This is the first time IWC has produced a watch with hard gold, a special new version of red gold. The microstructure of the alloy is modified in a sophisticated manufacturing process. Hard gold is therefore significantly harder and around 5 to 10 times more wear-resistant than conventional red gold. 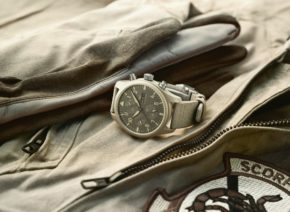 As a result, the material is perfectly suited to the large case and the crown of a Big Pilot’s Watch. The patented constant-force tourbillon is the IWC engineers’ answer to a centuries-old challenge in the field of watchmaking: As the tension in the spring of a mechanical wristwatch slackens over time, less force is transferred to the escapement via the dial train, which in turn decreases the amplitude of the balance. This has a negative impact on the precision of the watch. The patented constant-force mechanism separates the escapement from the direct flow of force from the dial train and with every second re-tensions a balance spring, which serves as temporary energy torage and transfers absolutely even force pulses to the escape wheel. Integrated into a tourbillon, which also eliminates the influence of gravity on the oscillating system, the result is extraordinary recision. The IWC-manufactured calibre 94805 combines a constant-force tourbillon with a perpetual moon phase display, which takes 577.5 years to require adjustment by one day. The “Petit Prince” stands on the moon. Two barrels store enough power for 96 hours. A display notifies the wearer of the remaining power reserve. 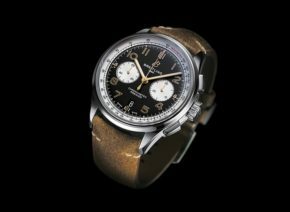 In the Pilot’s Watch Perpetual Calendar Chronograph (Ref. 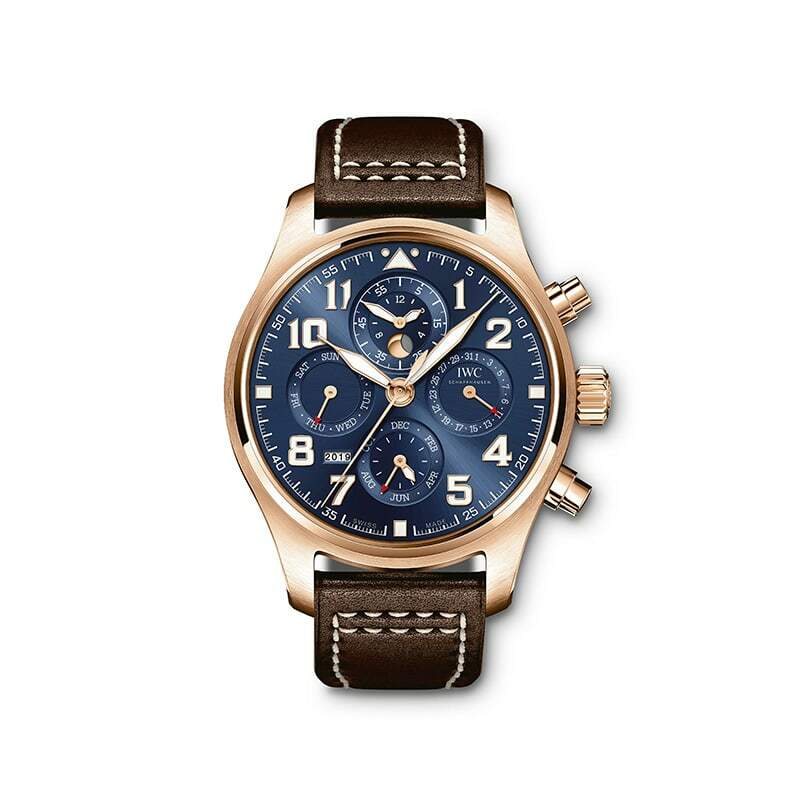 IW392202), IWC has combined a perpetual calendar with a chronograph for the first time in a pilot’s watch. 250 of these limited edition timepieces are available. The perpetual calendar developed by Kurt Klaus in the 1980s automatically detects the different number of days in the month as well as leap years. The mechanism, which is built from just 80 or so parts, will work until 2100 without needing to be adjusted. The displays for date, day, month, moon phase and year are perfectly synchronised and can be easily adjusted via the crown if the watch is not worn for a prolonged period. The IWC manufactured calibre 89630 also features a chronograph function. 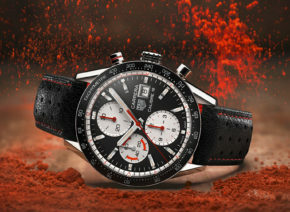 The moon phase display for the calendar is therefore integrated into the chronograph counter at “12 o’clock”.